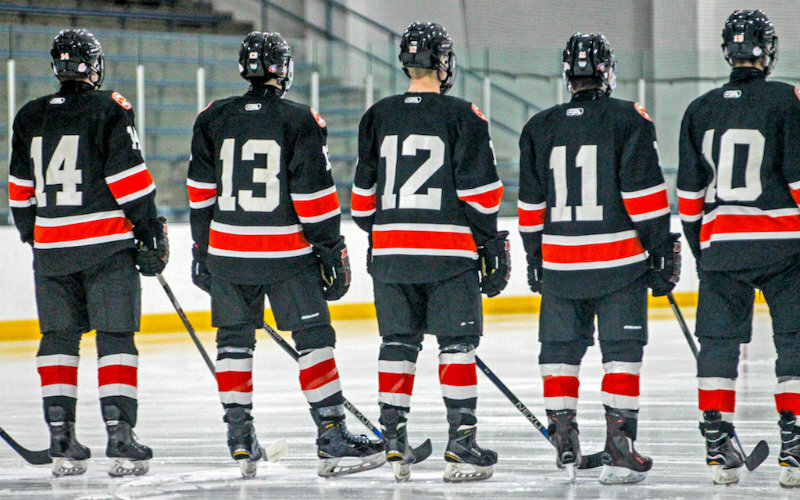 Athletes are considered for the weekly top performer poll only if their stats are entered on the MN Hockey Hub by 10 a.m. on Sundays. If coaches or members of their staffs need access to enter stats, please email mnhubs@sportngin.com. Hunter Wilmes, Minnesota River. The senior forward, who had contributed 13 points in the Bulldogs' previous five games, registered season highs in both assists (6) and points (7) to lead the Bulldogs to an 8-2 win over Redwood Valley on Jan. 25. Wilmes leads his team with an average of 2.42 points per game this season. Isaiah DeFoe, Prairie Centre. The junior goaltender earned his first shutout of the season, as the North Stars blanked Northern Lakes 3-0 on Jan. 22. DeFoe made 43 saves in the win and backed the team's perfect 6-for-6 penalty kill. Shane Donovan, Northern Lakes. The junior forward, who recorded 14 points in the Lightning's past three wins, scored three goals and added two assists in a 6-4 victory over Wadena-Deer Creek on Jan. 25. Donovan scored the team's first goal early in the second before adding an assist later in the period. With the team down by one goal early in the third, Donovan tallied the tying assist then scored two goals to secure the win. Thomas Gazich, Hopkins. In a 10-3 win over Minnehaha Academy on Jan. 26, the junior forward surpassed his best point total this season (3) with two goals and six assists. Gazich tallied two assists and a short-handed goal in the first period before adding another goal and four assists in the second. Nathan Hadley, Anoka. Hadley posted his highest save percentage of the season (.978) in a 1-1 tie against Elk River/Zimmerman on Jan. 24. The senior goaltender gave up his lone goal on a penalty kill and finished the game with 44 saves. Mike Koster, Chaska. The senior defenseman matched his season-high points total (6) in an 8-0 win over Bloomington Kennedy on Jan. 26. Koster, tied for seventh in the state with 29 assists, scored once and tallied five assists, including one on the power play and one short-handed. Owen Meeker, Warroad. The junior forward registered season highs in both assists (5) and points (6) — leading the Warriors' 10-0 win over Park Rapids on Jan. 22. Meeker scored his lone goal short-handed and tallied two of his assists on special teams (one power play, one penalty kill). Mason Plante, Marshall. The state's leader in both goals (36) and points (70) continued his dominant play in a 4-1 win over Redwood Valley on Jan. 22. The senior forward scored two of the Tigers' goals and assisted on the other two. Shaid Shearer, Luverne. The sophomore goalie had his best game of the season in a Jan. 25 contest against Litchfield/Dassel-Cokato. He gave up a season-low one goal on 52 shots to back the Cardinals' 5-1 win. Declan Young, Fergus Falls. Young scored a season-high four goals in the Otters' 6-2 victory over Willmar on Jan. 25. The senior forward scored his first goal late in the first period to give the Otters their first lead of the game. He then finished a pair of power-play opportunities for back-to-back goals and scored once more midway through the final frame. MN Hockey Hub polls are for entertainment purposes only. Tyler McCarville, Hastings. Jan. 7-12.